Here’s what’s happening in the world of television for Tuesday, January 16. All times are Eastern. 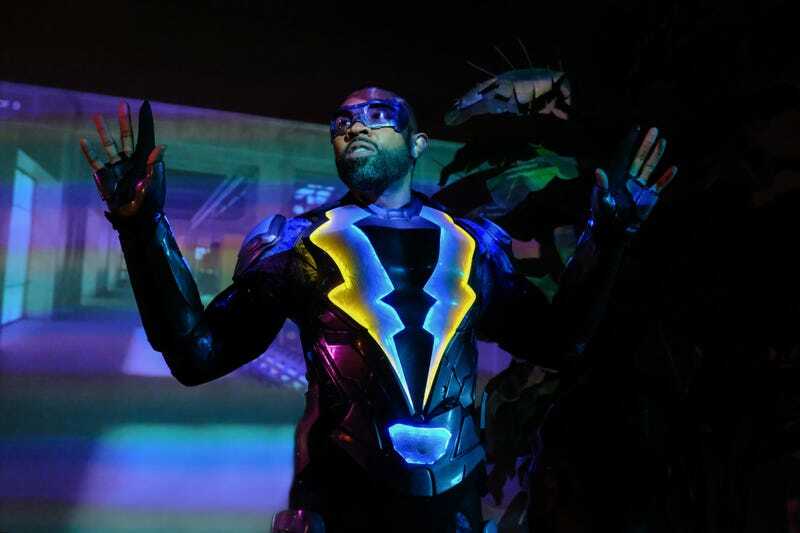 Black Lightning (The CW, 9 p.m.): Jefferson Pierce is the first black superhero to headline their own show on The CW, and he’s doing it without backup from the rest of the Arrowverse. (Though, let’s be realistic here: How long can the producers’ of the network’s DC shows deny the temptation to cross Black Lightning over with The Flash, probably by getting some of Jefferson’s bolts tangled up in the speed force.) This version of Black Lightning has hung up his vigilante hat in favor of working as a school administrator, but circumstances soon conspire to get him back in costume. Our own Danette Chavez says the first two episodes are “crackling with conflict and potential”; check back tonight for Kyle Fowle’s take on the premiere.